This May, I was named as an Expert Consultant on the research project, ‘Research on the Ethical Issues and Governing Strategies in Scientific Research’, Commissioned by Department of Policy and Regulation, Ministry of Science and Technology (MOST). My involvement is to contribute to the writing of a position paper and to design and lead a qualitative study on scientific risk in collaboration with MOST’s research arm, the Chinese Academy of Science and Technology for Development (CASTED). The aims of this project are: 1) To identify key scientific risks and ethical issues relating to three strategic fields in China: information technology, environmental science and the life sciences. 2) To map out subsequent regulatory challenges China faces, especially in relation to global collaboration. 3) To develop a position paper on ethical governance, which will contribute to a new framework for China’s scientific policy. It’s a research/policy engagement experience for me at a new level! The sheer scale of proposed research is quite amazing and the research team is wonderful to work with. 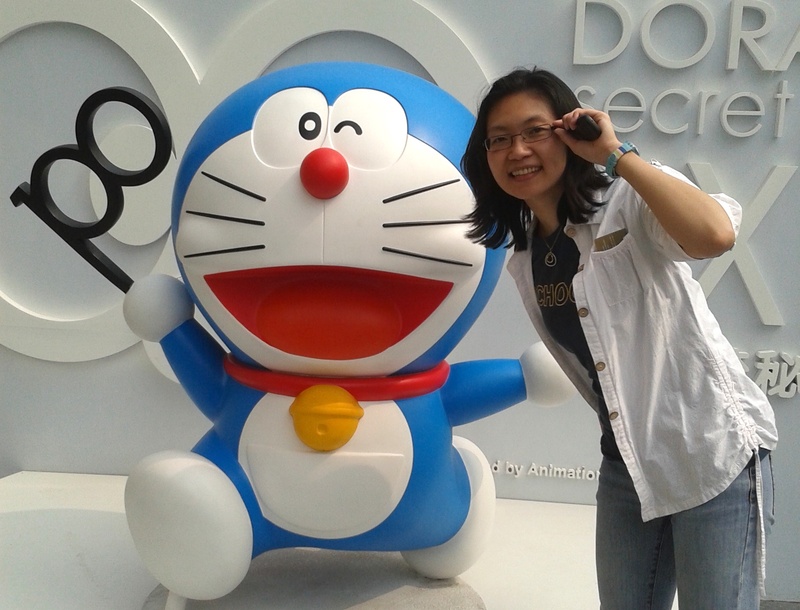 Both Doraemon and I are looking through our pairs of the ‘future glasses’, and it seems like there is lots of excitement ahead.